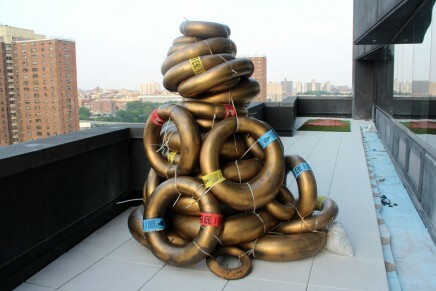 NEW YORK—Cutlog NY has returned to the Lower East Side. 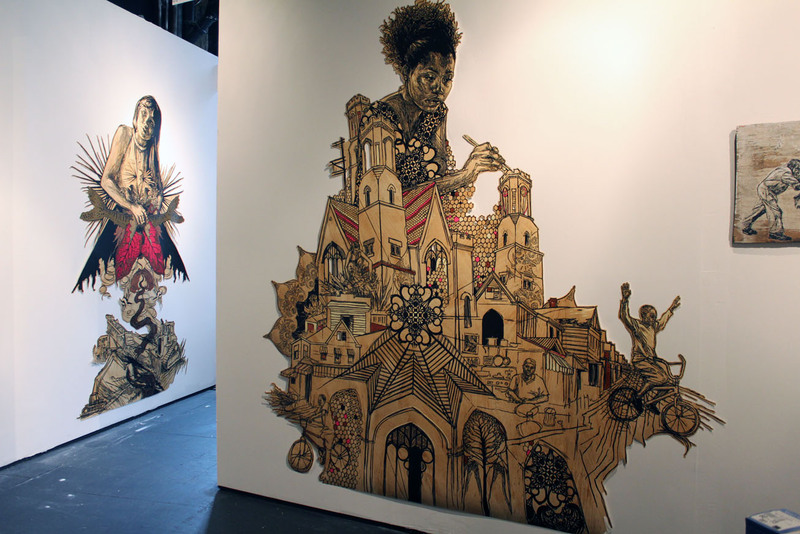 The self-described “cutting-edge” art fair features a wide-range of artists including Swoon, who currently has an exhibition at the Brooklyn Museum, and Elise Siegel, whose crudely sculpted busts (above) possess a certain refinement and Keun Young Park, who creates intricate portraits composed of torn and pasted photographs (both on view at the Accola Griefen Gallery booth). Cutting-edge describes a variety of works in the contemporary art world—the good, the bad and the ugly. At cutlog, it is defined by innovative works from talents such as Swoon, Siegel and Park, as well projects more marginally described as art, works that lack aesthetic appeal and apparent concept. Overall, the hits outweigh the misses. 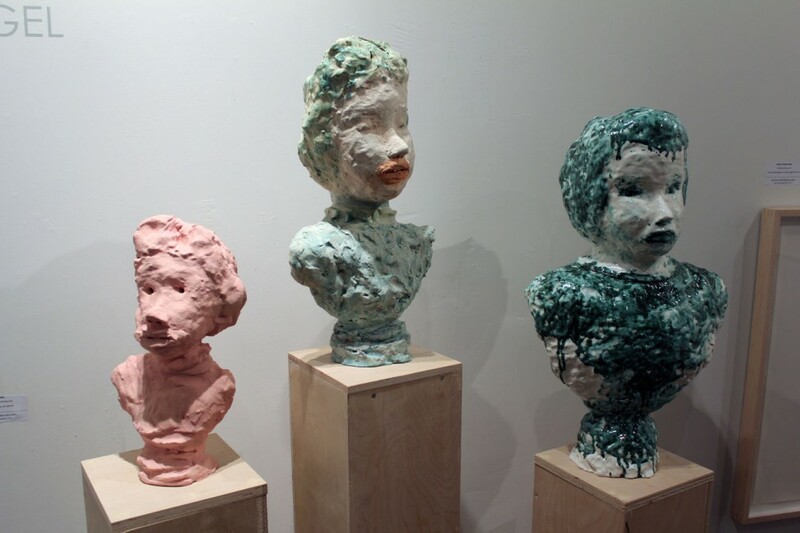 The second edition of cutlog is currently underway at The Clemente at 107 Suffolk Street, a former school where more than 50 exhibitors are showing works through May 11, 2014. Herewith, the more compelling offerings. 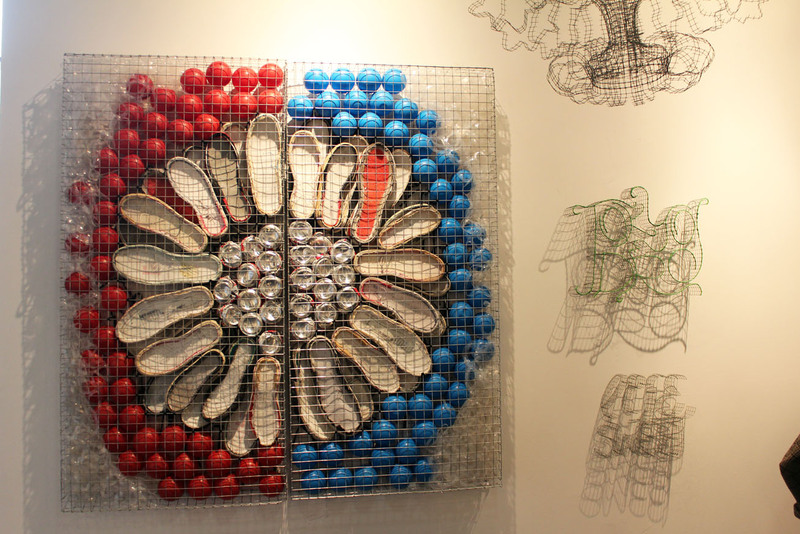 Works by Adam Handler at Monica Buckle Gallery. 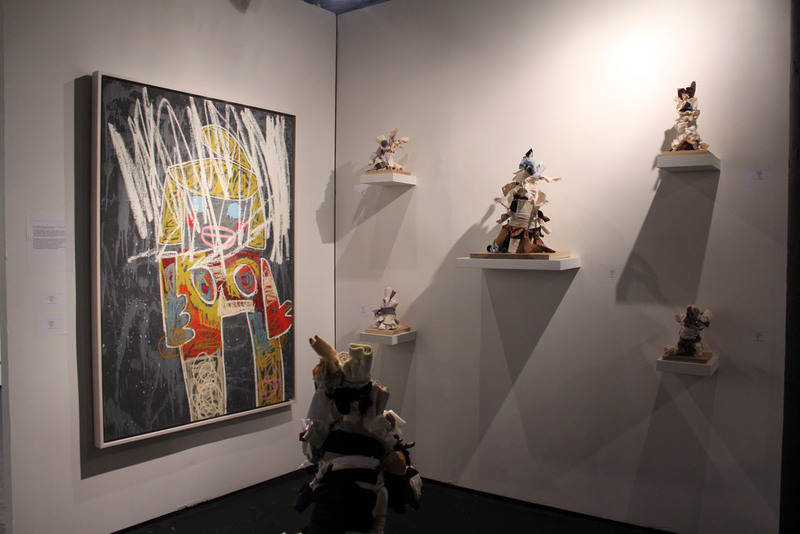 At left, “Cry Baby II,” 2013 (acrylic and oil stick on canvas). 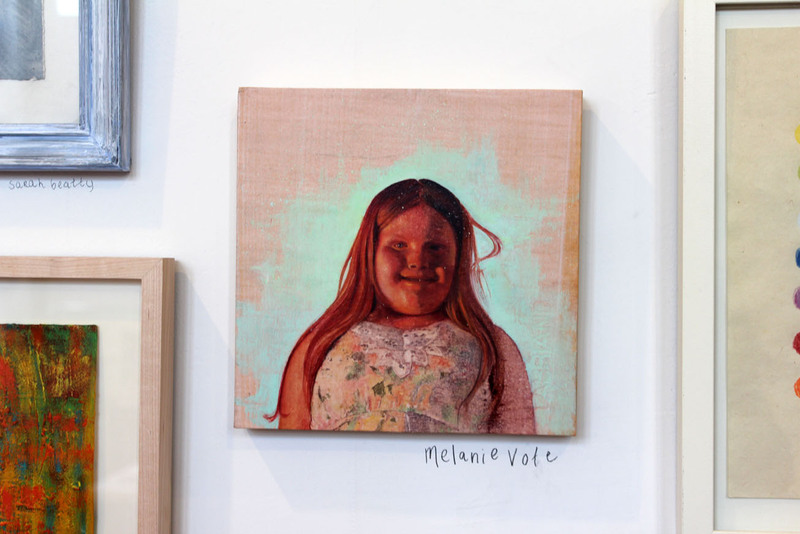 “Sister Sweet,” 2013 (acrylic and oil stick on canvas) by Adam Handler at Monica Buckle Gallery. Works by Keun Young Park at Accola Griefen Gallery. 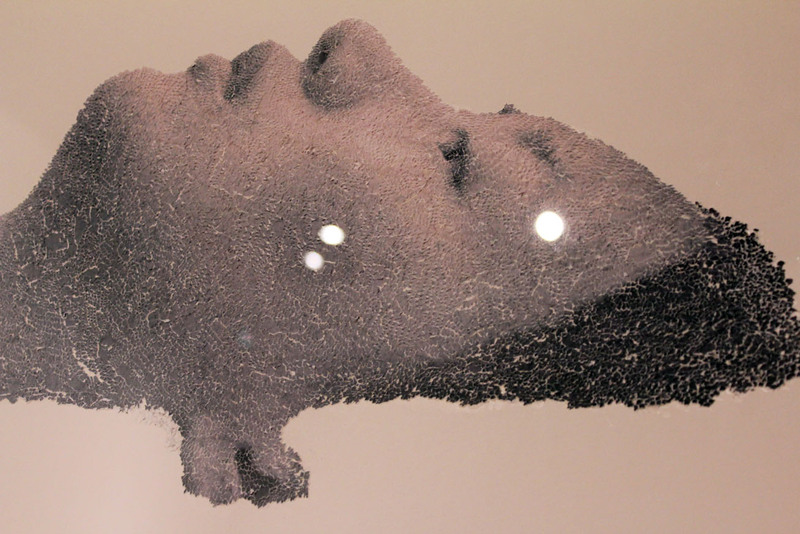 Detail of “Float Face,” 2012 (torn and pasted photo on archival paper) by Keun Young Park at Accola Griefen Gallery of New York. 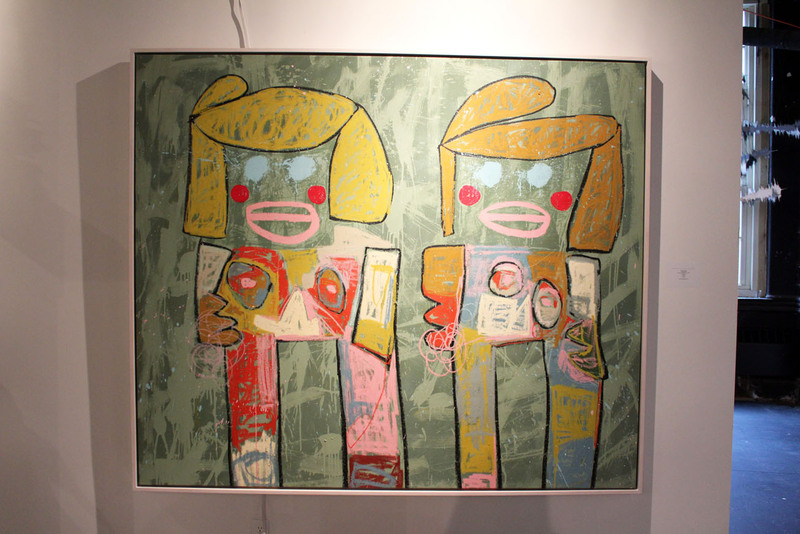 Mixed-media work by Ward Yoshimoto at Galerie Spree of Paris. 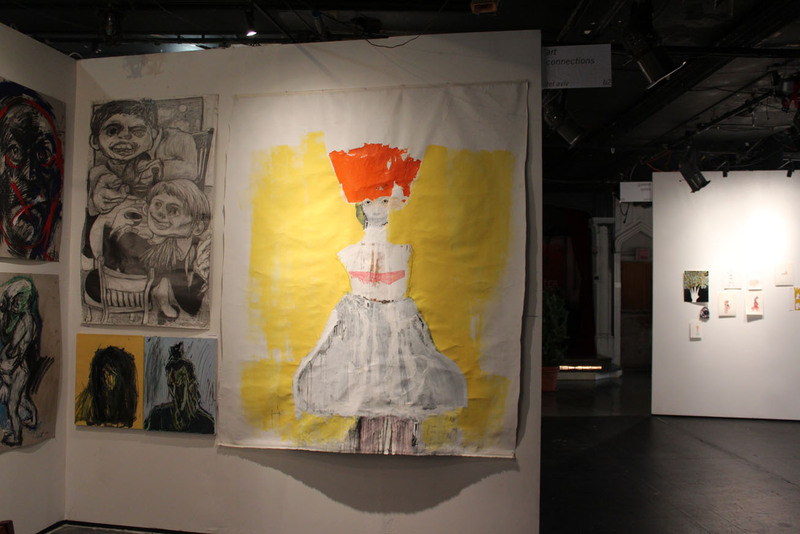 Work by Orit Goldman (center) at art connections of Tel Aviv. 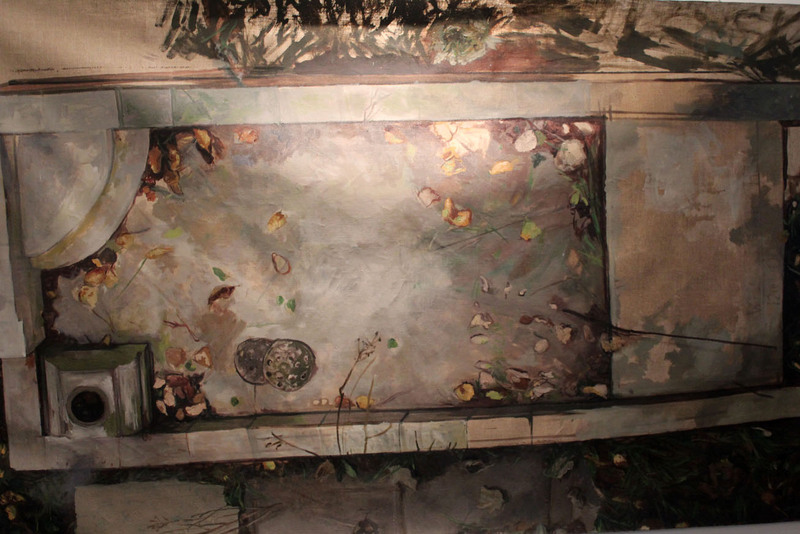 “Fireflight,” 2013 (oil on paper over panel) by Melanie Vote with Clemente Soto Vélez Cultural and Educational Center, which is housed in The Clemente. Detail of “Untitled,” (oil on linen) by Natalia Barbarovic at Susan Learning of New Canaan. 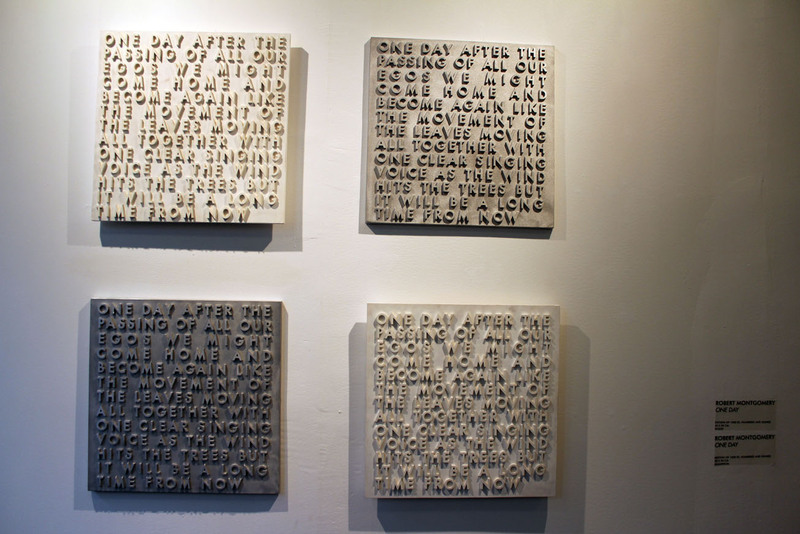 Installation view of “One Day,” editions of 1,000 (wood-white; aluminum-silver) by Robert Montgomery. 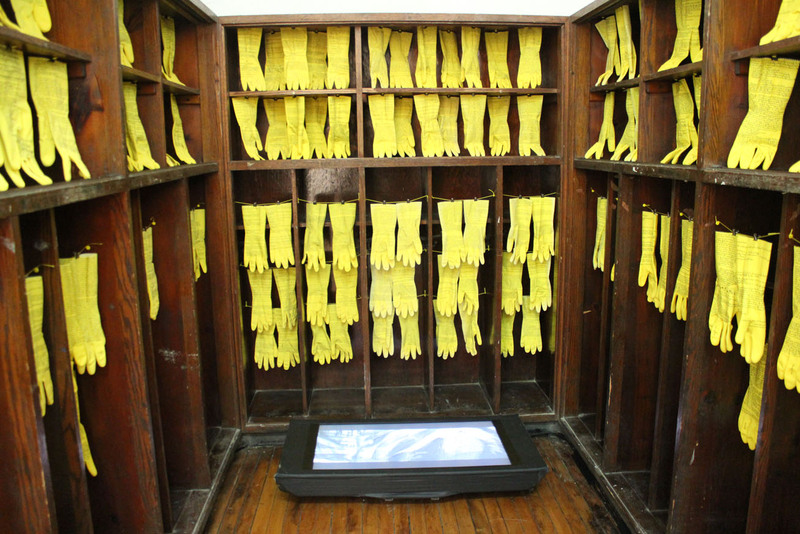 “The Ulysses Glove Project” (2010-2012) by Jessica Deane Rosner. 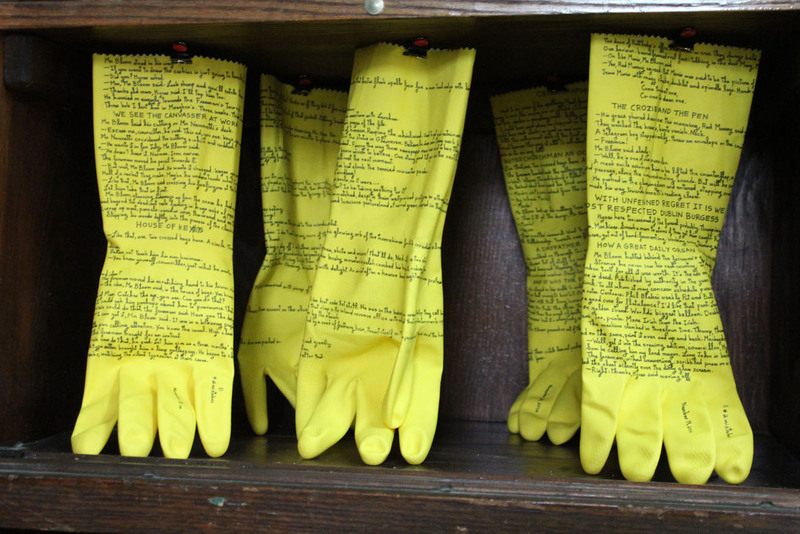 Detail of “The Ulysses Glove Project” (2010-2012) by Jessica Deane Rosner. 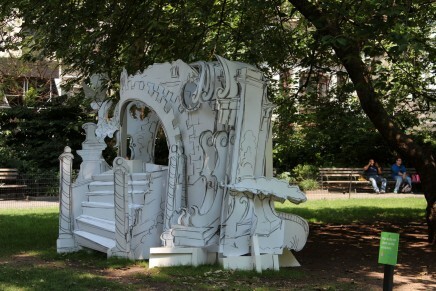 From left, “Art School Entrance Exam No. 3” and “Art School Entrance Exam No. 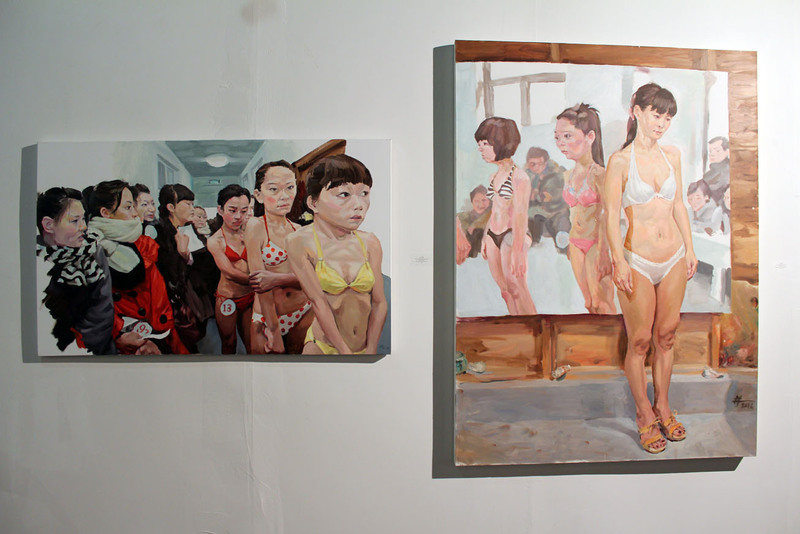 2” (both oil on canvas) by Li Lin at Ethan Coen Fine Arts of New York. 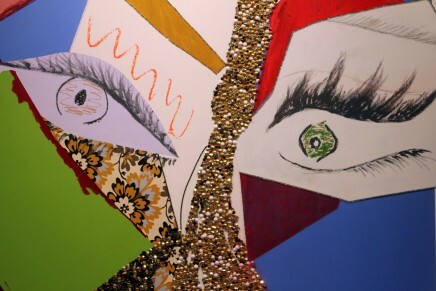 Detail “Art School Entrance Exam No. 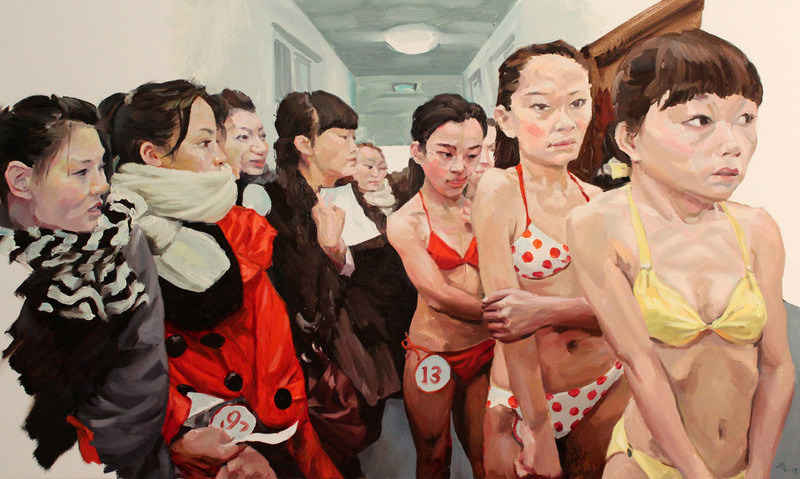 3,” 2013 (oil on canvas) by Li Lin at Ethan Coen Fine Arts of New York.